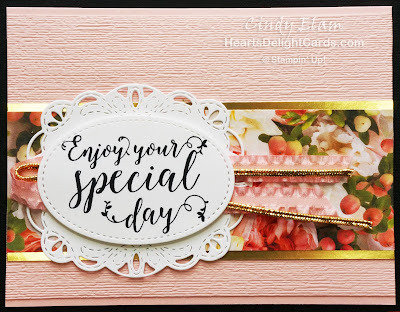 Heart's Delight Cards: LAST CALL! 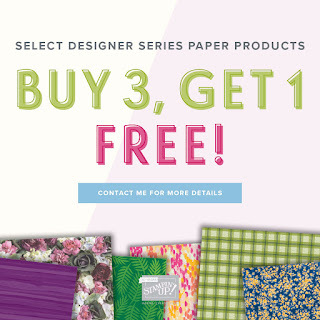 Today is the final day for the Buy 3 Get 1 Free Designer Series Paper deal! I made a quick card this morning to show off the beautiful Petal Promenade DSP, which is a part of the deal! Seriously, I think this card took all of ten minutes to put together. 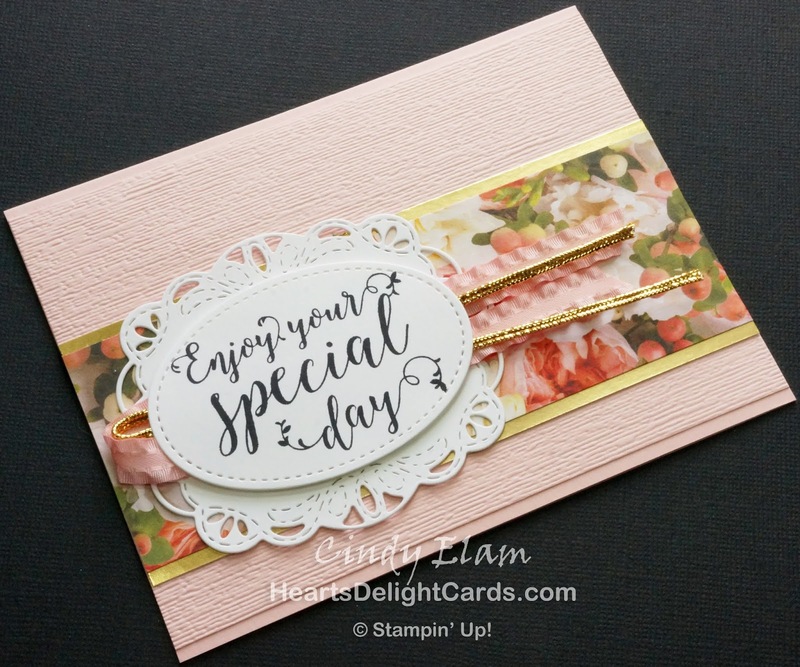 A 2" x 5-1/2" strip of DSP was matted on two narrow strips of gold foil and then added adhered to the Subtle embossed background on the card base. 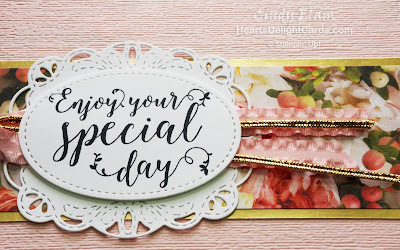 I already had the greeting stamped, so it was easy to die cut with the Stitched Shapes oval Framelit, and then layer it on the Stitched Labels fancy die cut with a strip of ribbon and gold cord between. BOOM! Done! Click on the pic below to see the details of the deal! Remember, the deal ends TONIGHT!